The student will examine the graphs to interpret what the data implies. 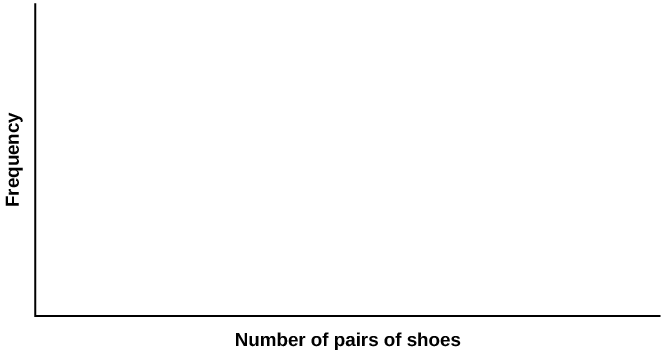 Record the number of pairs of shoes you own. How does the standard deviation help you to determine concentration of the data and whether or not there are potential outliers? Descriptive Statistics by OpenStaxCollege is licensed under a Creative Commons Attribution 4.0 International License, except where otherwise noted.